Vintage meets modern in a drum fuelled, foot stomping showdown. Australian Hat Fitz and Irish born Cara Robinson are a husband and wife team based ‘down under’ that are a unique combination of hill-style Gospel blues and stripped back, drum driven roots topped off with clear, strong vocals from Cara and deep, rich, growly tones from Hat Fitz. 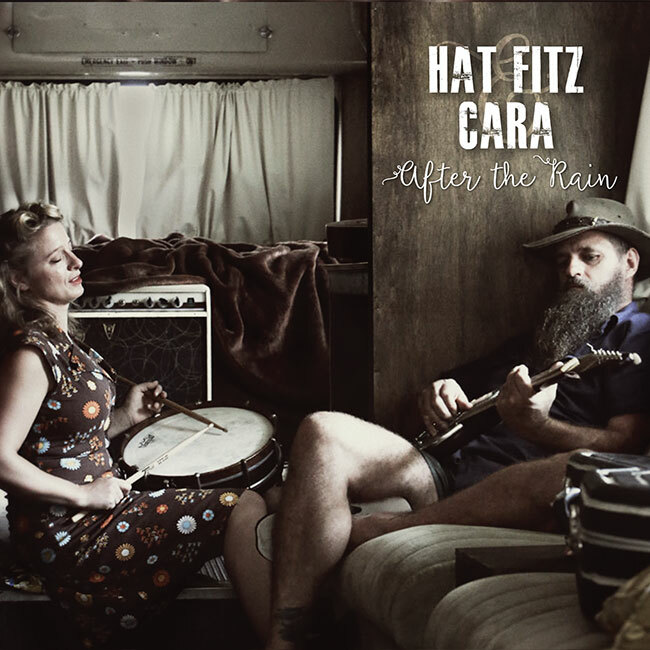 AFTER THE RAIN is their fourth album, released on the back of some strong live performances throughout Australia, Canada, Europe and the UK, indeed Cara was awarded the Australian Female Blues Vocalist of the Year award in 2015 so they clearly both know how to work up a tune. The album opens with ‘Going Home’, a short song that only really gets going in the last third, but when it does, it’s glorious. A big gospel chorus leads us home but it seems to be over all too soon. This is followed by first single ‘Doing it Again’ an up-tempo, drum fuelled bonanza that gives us an insight into their married life and creative process. Other songs keep that unique yet traditional sound that the pair have. ‘After the Rain’ has a military drum beat and huge gospel chorus. ’Tank Man’ is a boogie-woogie piece with Fitz on vocals and a healthy dose of slide guitar. ‘Try’ is a mid-tempo, foot stomper dripping in muddy Blues, a song straight off ‘The Commitments’ soundtrack 25 years too late and ballad, ‘Rosie Hackett’ has a quiet, Clapton-esque beginning before it develops into a Celtic infused number with Cara sounding uncannily like Adele in places, particularly during the ‘just one touch’ refrain.